The center will be located at Westover in space leased from the Air Force and staffed by UMass Amherst faculty and students and scientists from M2C. It will use a high-fidelity 360-degree air traffic control tower simulator that will be modified for three-dimensional views of a variety of operational environments. The center is supported by a $5 million state grant that will be used to secure additional funding from the state and federal governments, private industry and foundations, says John Collura of the UMass Amherst Transportation center and professor of civil and environmental engineering in the UMass Amherst College of Engineering. A five-year agreement between UMass Amherst and M2C was signed last September as an initial step in creating the center. The state has since released $100,000 from the state grant to conduct a cost study for renovating a building at Westover to permanently house the center, which is expected to open in the spring of 2017. A significant number of air controllers in the New England region are expected to retire in the next decade and that increases the demand for a modern education and training facility. This approach could be adapted for new civilian controllers, which—in combination with the transitioning military controllers—would help alleviate the Federal Aviation Administration’s shortage of certifiable controllers and allow for joint military training with Westover’s staff. 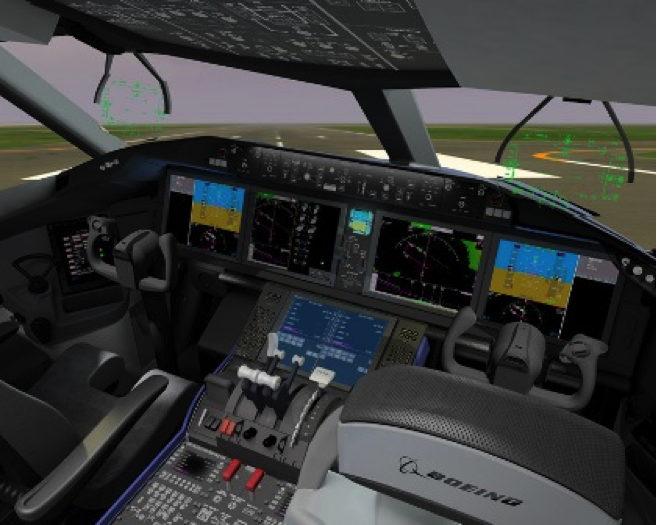 Key goals of the center are to create a Massachusetts-based training center for advanced aeronautical research to improve aviation safety and efficiency. The center will also develop and apply advanced training methods to ensure air traffic controllers, pilots and airline operators are able to leverage the benefits of newly developed technologies capable of improving aviation safety and efficiency. The center will also encourage and support economic development at the air base and the region. Collura says that UMass Amherst and the new center would be one of the few institutions anywhere to have such a facility to simulate aircraft in flight, and it can also reproduce weather conditions and their impact on aircraft and air traffic controllers. The participation of UMass Amherst is one of the programs in the UMass Transportation Center in the College of Engineering. Ann M. Dancik, president and CEO of M2C, and her staff have been working with Collura and UMass Amherst officials for the past two years to establish the aviation center. She says the experience has impressed her. “Government and industry organizations looking to leverage advanced aviation-related research and technologies are quickly developing an appreciation for the talent and creativity embodied by the faculty, students and facilities at UMass Amherst,” Dancik says. The simulator will also serve as a research platform for faculty who want to do research and address critical questions such as how to integrate unmanned aircraft safely into the national airspace with manned aircraft. Collura says the aviation center is currently a member of the FAA’s Northeast unmanned aircraft test site along with MIT, University of Syracuse, University of Rochester, and a few others. Testing would take place at the Joint Base Cape Cod, Buzzards Bay. UMass and its industry partner M2C Aerospace are developing an essential rigorous test and demonstration capability for accelerating the commercialization of emerging technologies supporting safe and efficient autonomous flight operations. The move to more autonomous aircraft operations is at the forefront of the new frontier in aviation. These technologies will profoundly improve aircraft safety, efficiency and environmental friendliness (reduced emissions), and reduce the cost of operating commercial, private, and military aircraft. Industry is currently applying technologies, such as networked/cloud-base services and architectures, small-scale sensors and wireless technologies, to transform flight. The UMass Aviation Center is well positioned to offer the necessary supporting infrastructure and airspace needed to perform testing and demonstration of these enabling technologies prior to certification for operational use by national (FAA) and international (EASA) organizations. Once certified, the technologies will constitute commercially available parts for autonomous systems applications employed by aircraft manufacturers (e.g. Boeing and Airbus) and aircraft maintenance companies. Key components to developing this capability will reside at the UMass Aviation Center Westover ARB location and the M2C Aerospace Antigua Service Center (Figure 1). The Center at Westover will host the hi-fidelity 3D simulation capability to model the airspace and planned autonomous aircraft operations, including ground to air, ground to ground, and air to air communications. Additionally, the Center will host the Air Operations Center (AOC) for orchestrating and controlling live flight testing. The M2C Aerospace Antigua Service Center will provide a small cargo aircraft, operating commercially as part of an air cargo feeder operation in the Eastern Caribbean. The aircraft will serve as the platform that will be modified to perform more autonomously overtime; initially transitioning from single pilot, to optional pilot and fully autonomous operation. Much like testing and demonstration on-going at U.S. cities with autonomous automobiles having a driver on-board, these tests will be conducted with a pilot always present. The Autonomous Aircraft Test Bed will Test and qualify “best of breed” technologies supporting safe and efficient operation of single pilot, optionally piloted and autonomous aircraft. The Test Bed will support, both at Westover and Antigua, the integration of communications, navigation, surveillance, on-board flight management, sense and avoid, and ground-based traffic management systems (Figure 3). The location of the airspace used for testing and demonstration is over the Atlantic Ocean and away from the general public and congested air traffic areas. As such, it offers an ideal setting for rigorous testing in a variety of weather conditions and scripted emergency situations, without threats to personal safety or property. Significant interest in the Test Bed has been received from government agencies and industry (Aerospace and Defense, and Air Cargo Carriers). John Collura, Ph.D., P.E., Director of UMass Aviation Center, thirty five years of experience in transportation research and education with an emphasis on technology innovation and workforce development; Ph.D. North Carolina State University. Captain Elpert T. Hodge, Industry Relations, founder of Massachusetts first International passenger and cargo airline, Elan Air. Elan Air was acquired by DHL to launch world wide operations. Richard S. Brody, Strategic Development, provided technical oversight of Mitre Corporation and MIT Lincoln Laboratories for USAF. Supported President Clinton’s Critical Infrastructure Protection Committee for National Airspace (NAS) and Intermodal Cargo Security. Richard D. Wright, Technical Director, created and operated the FAA’s first modern air traffic management system. Developed Collaborative Decision Making between the FAA and the Airlines to reduce flight delays. Daiheng Ni, Ph.D., Associate Professor of Civil and Environmental Engineering, research focus is in the area of traffic flow theory and simulation modeling, Ph. D., Georgia Institute of Technology. Douglas Looze, Ph.D., Associate Professor of Electrical and Computer Engineering, research focus is in area of systems engineering and control, Ph.D. Massachusetts Institute of Technology. Michael Plotnikov, Ph.D., Research Fellow, UMass Aviation Center, research focus is on the deployment of unmanned aircraft systems. Ph.D., University of Massachusetts at Amherst.